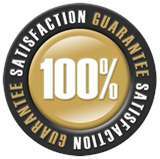 Thorough value-based residential and commercial and commercial property inspections you can trust. With some exceptions, your buyer inspection should be about making a decision to purchase or not purchase the property you have under contract. According to Wikipedia, decision making is the cognitive process leading to a belief or course of action. The underpinning of decision making is identifying and choosing alternatives based on values, preferences and beliefs. The role of the home buyer is to establish their objective with the home, available alternatives in the marketplace, their tolerance to risk and their financial capacity to maintain the home. All of these factors come together to produce a final choice. Every buyer will have a different set of alternatives, risk tolerance, skill set and financial condition. This final choice should take into account these considerations and therefore should be make solely and hopefully confidently by the home buyer. 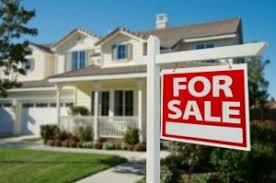 The role of the real estate agent (if applicable) should be to drive the decision making process. Driving the the decision making process includes rendering the needed resources such as lender, title company, appraiser and home inspector, sharing their personal experiences from past transactions, educating the buyer about different alternatives and representing the buyer. With this said, the role of the agent does not and should not include making the decision for the buyer. The home inspector’s role is to survey the physical condition of the property and to communicate findings to the buyer. On occasion, this role may include recommending other specialists to evaluate specific risks more closely. Likewise with the agent’s role, the role of inspector is not and should not be to influence or sway the buyer’s decision but rather support the decision making process. Knowing and respecting your different roles in the home inspection process will help ensure a better outcome for the buyer and all involved parties. 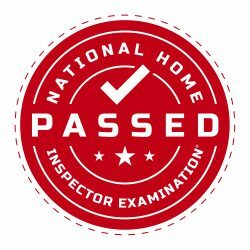 The National Home Inspector Examination® is the only independent, psychometrically-valid home inspector test in the county. The exam is developed, maintained and administered by Examination Board of Professional Home Inspectors (EBPHI). They are an independent, not-for-profit organization that develops and maintains exams for the real estate inspection profession. The NHIE tests a home inspectors knowledge of conducting a thorough home inspection as well as tests the skills in client relations, communications and report writing. Asking if your home inspector has passed National Home Inspector Examination® (NHIE) is a great way to know if he or she is really qualified to inspect your home. Not all home inspectors follow the same standards of practice, use the same report format or have the same background. Although there are national associations for the home inspection industry which have certification programs, the associations are driven by membership revenue and obtaining a certification can be easily accomplished by most any inspector regardless of their background, character, level of knowledge or dedication to the field. The quality and smoothness of your home inspection depends greatly on the inspector’s ability to access all of the important areas of the home and be in a position to evaluate all of the home’s systems and components. Below is a list of simple tasks which, if done by your seller, will make for a better outcome for all other key stakeholders. Request seller vacate property during inspection. In my years of inspecting homes, rarely has the seller’s presence helped the process and more often than not raises anxiety for your buyer and impedes the inspection process. Clear a path to electrical panels, water shut-off valves, attic hatches, crawlspace openings, fireplaces, storage rooms and sink cabinets.. Relying on the inspector to move furniture and other personal property opens the door for the inspector to not have needed access to everything or having a disgruntled seller on your hands when they seller comes home to find their belongings have been moved. Remove animals and clean up yard from animal waste. Having your buyer exposed to barking dogs or stepping on a dog pile while walking the yard can marginalize your buyer having a positive emotional experience. Make available remote controls for fireplaces and ceiling fans. Don’t count on an inspector being able to find the remote control to the seller’s fireplace or passing the fireplace off to your buyer as operable when the inspector is not able to operate the appliance. Bring it all together your efforts in doing what you can to implement these tips with the seller will improve the outcome of your inspection.